After finishing the entire season, I can tell you this is definitely not like Spice and Wolf as so many people trying to sell this as. True, there's economics involved, but it's not the type of economy in S&W. If you ask me, this feel more like a strange version of Legend of Legendary Hero with special emphasis on politics and economy. The story takes reference blatantly from history. In fact, it's literally a story of medieval history with fictional country name and daemon world, be it religious revolt, or agriculture revolution, or technology advancement. 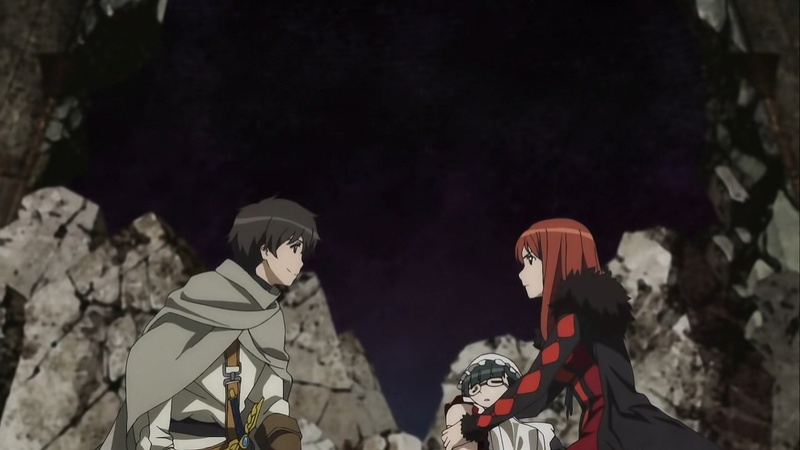 Come to think of it though, Spice and Wolf kind of did the same thing, except it's not nearly as apparent since everything in that story are dealt in a micro scale, whereas Maoyuu is a macro view. Because of this macro approach, I think it made it far inferior than Spice and Wolf where I think that's actually where would like to be. The problem, as I see it , is that by using too much history, it reminds people too much of the history, except this isn't history. Recommendation: Clearly, much like Spice and Wolf, there's more of the story. But whether this first season sells enough for the second season to come may still be questionable. This is an average plus series that even it's not a must watch, I think it's still worth a while.